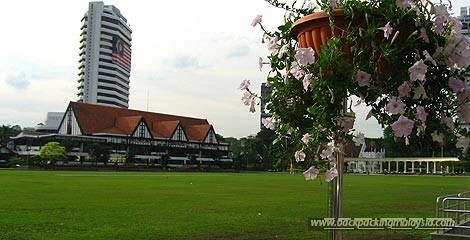 The Dataran Merdeka (or Merdeka Square) is the old colonial heart of Kuala Lumpur. It was here, in front of the Sultan Abdul Samad Building that the Union Flag was lowered and the Malayan flag hoisted for the first time at midnight on August 31, 1957. Merdeka = Independence. 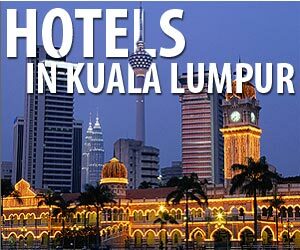 At Merdeka Square you find Royal Selangor Club, the National History Museum and the impressive Moorish-architecture Sultan Abdul Samad Building which is quite a sight a night when it is illuminated. Masjid Jamek is the oldest mosques in Kuala Lumpur, Malaysia. It is located at the confluence of the Klang and Gombak River and was designed by Arthur Benison Hubback. Big park near the old colonial center and Chinatown area. It includes National Mosque, Bird Park, Butterfly Park, Islamic Arts Museum, National Museum, Deer Park, Orchid Garden, Tasik Perdana (Premier Lake). The indoor market and the Kasturi Walk in front of Central Market is a paradise for souvenir hunters, art and handicraft etc.